​This is a light and refreshing look at some of the natural areas of the site. 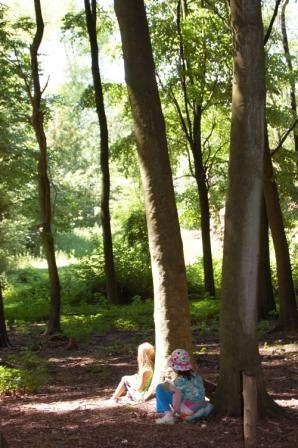 Using a combination of the senses and imagination pupils are encouraged to look afresh at familiar objects. Ideal for preparing a sense of place, or for reinforcing a lasting sense of the site's natural beauty. We may create a story or a poem, collect the scents of nature in the herb garden and make fantastic potions to share or make twig and wool God’s Eyes. 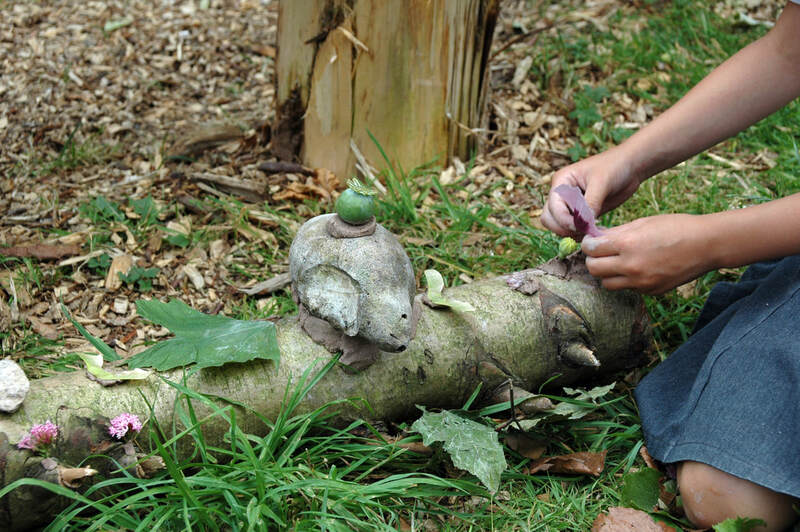 There are plenty of creative options that can be tailored to suit the other activities chosen, making temporary sculptures in the woods, making tree spirits or working in teams on the scrap art challenge. Explore and cover some English and Art requirements outdoor and in. Adaptable to all KS2 and can be used as part of a day that focuses on a science or geography topic. Post visit work might include environmental artists or woodland literature. Art KS2 - Improve their mastery of art and design techniques, including, drawing, painting and sculpture with a range of materials. English KS2 - Preparing poems and play scripts to read aloud and to perform, showing understanding through intonation, tone, volume and action. English KS2 - Discussing words and phrases that capture the reader’s interest and imagination.